This is a partnered post. As always, all thoughts and opinions stated herein are my own. This summer will not be filled with “I’m bored” and “I don’t have anything to do.” I’ve got an arsenal full of fun, online learning activities that should keep my children entertained, occupied and learning through the summer months. I’ve spent the last couple of months learning everything I can about Brain Chase and how it can help my children learn throughout the summer. If you’ve missed my previous posts about it, Brain Chase is a 5-week online summer learning program that offers structured challenges for children in 2nd – 8th grade. It requires about an hour of work, five days a week. Each day will consist of reading and math and each week will consist of a writing exercise. I’m so excited that I’ve found a summer learning program that all three of my children can enjoy. It gives children something educational to do during the summer. My children thoroughly enjoy sitting on the couch and watching television for hours a day. I, on the other hand, really dislike for them to waste away their summer watching mindless shows on the television. It allows children to learn at their own pace. Since Brain Chase is a web-based program, children participating in the program have the flexibility to learn at their own pace. Since no two children are alike, Brain Chase recognizes this and allows children to learn at a pace that they’re comfortable with. It prevents summer brain drain by keeping your kids engaged in learning. Recent studies have shown that children start a new school year losing some of what they learned the year prior. School is hard enough, but when you add in loss of learning, it can make it even harder. It offers structured challenges in reading, math and writing. My children thrive on structure and schedule. The Brain Chase program offers structured challenges throughout the 5-week course in three of the core subjects. Children will do math and reading each day and will be assigned a writing assignment each week. It’s flexible based on your schedule. Some of what I love about the summer months are the slow pace and lack of commitments. If we want to sleep in until 10am, that’s okay. If we have morning plans, my children can do the work in the evening. Brain Chase is available when we are! It’s personalized based on your child’s learning level. As mentioned earlier, no two children are alike. My children each learn differently. Thankfully Brain Chase is personalized based on the learning level of each child. 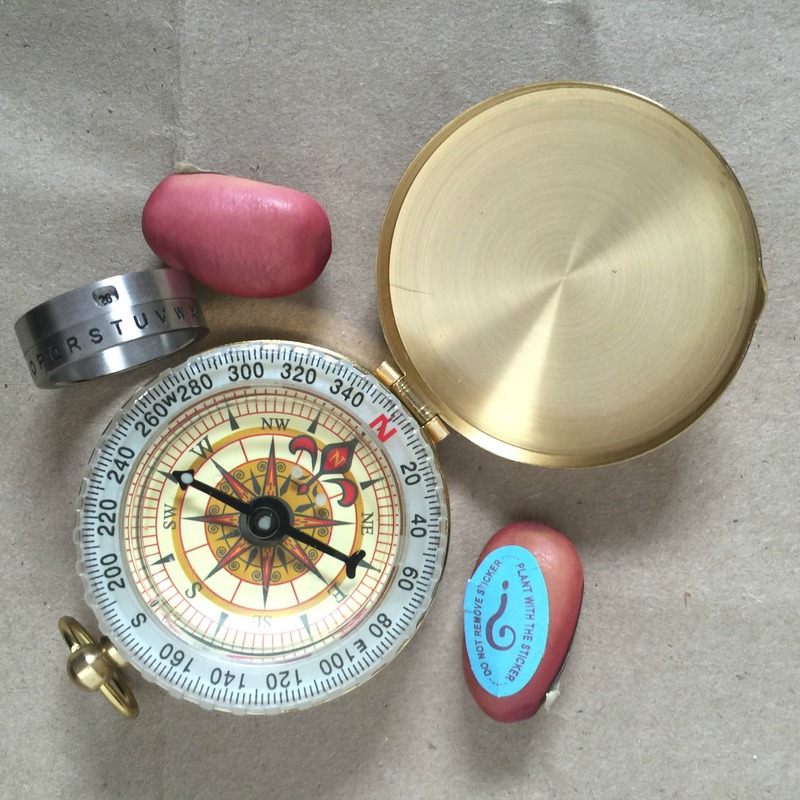 Tools are sent throughout the challenge to help you decipher clues. During the course of the 5-week summer learning program, three tools will be sent to help the child through the program. I love that in addition to the online learning experience, Brain Chase offers children with real tools they can hold in their hands to compliment the online experience. It travels with us. We can easily jump in the car and go on an impromptu road trip and not have to worry about the children not being able to complete their daily assignments. Since Brain Chase is an online summer learning program, it goes wherever we go. As long as there is a laptop and wifi, Brain Chase goes where we go. And if you let them know of your travel plans, they will even send the tools to a different address. There is a REAL treasure up for grabs. Brain Chase isn’t just an online learning summer program. There is a real, $10,000 buried treasure up for grabs. Each day after completing assignments, you will be given the opportunity to drop a virtual pin on where you think the treasure is buried based on the clues that unlock after completed assignments. If you are the first to successfully locate the buried treasure, the child and a parent will be flown to the location to claim the prize. It’s getting national attention. Everyone is talking about Brain Chase. And rightly so. Costing less than a week at camp would, Brain Chase offers 5 weeks of online learning in a fun, interactive way. Brain Chase will begin on June 22nd. There is still time to sign up, but hurry! Registration ends soon. What are you doing to help your kids learn this summer? You don’t have to convince me, I think this sounds awesome. My kids would really enjoy it, too! This sounds like a great program. My son will be 4 this summer, and we’re moving him to a preschool/summer camp. He’ll be learning, but still having a blast. I will have to show this to my Step Daughter. She may already know about it. This summer I’d like to travel more with the kids. I’ve planned lots of day trips. I love how this makes learning more fun and the fact that it’s flexible is just awesome! At first I thought we wouldn’t be able to participate because of my son’s summer schedule but I’m so glad we can! This sounds great. I think it’s so important to keep kids’ minds active during the summer months. This is a great way to keep kids using their noodles over the summer. I know all they want to do is play, but they have to keep their brains from getting rusty. I agree – my kids would go the entire summer without using any brain power if I would let them. Then they’d pay for it in September when they go back to school. This would be great for during the summer! I will have to look into this for my two older kids! I’ve just bookmarked this. My youngest is out of school mid week and this sounds perfect for his summer plans. Thanks for the great write up! This would have definitely been a great motivator for my kids. I love how they make it an adventure and that grand prize is so cool! This sounds really great. I need to look into this for my 6 year old niece. This is so great, I love the ideas and I have not heard of Brain Chase before, thanks for sharing this. I am always up for encouraging learning in summer. we usually go attend events and learn while we are out exploring nature. That looks like a fun way to learn. I am definitely looking into this for my daughter. This sounds like a lot of fun. I have the same goal for this Summer with my kids. I have crafts and some science project kids at the ready, but nothing this extensive. Thank you for the information. This sounds like a great way to encourage kids to keep learning over summer! We usually just do reading challenges from the library, but need to look more into Brain Chase as well! My kids are doing a one week summer class and lots of reading, but Brain Chase sounds perfect! If they know real money is up for grabs, they’ll be excited to play! I think this is great! On Sunday I hit the dollar store and got learning materials for my son who enters first grade in August just to keep his mind fresh over the summer. I don’t want him to have brain drain. This would be a great way to get kids to keep their mind active during summer vacation. I am hoping to go on a few road trips this summer. This sounds like so much! How cool! It is reasons like this I temporarily wish our kids were older! This sounds like a marvelous program. If I had any children I would be signing them up in a New York minute. I love that it’s a fun way to learn for the summer. My son would love taking this on our vacations! I have heard some about this. Great info. Wow I hadn’t heard of this before. Sounds great. Something my oldest would love! I’m impressed by all the programs that technology can offer our kids. I wish things like this had been around 10 years ago when my kids could have benefitted. These sound like the best things for kids so they don’t get bored during the summer! We do a lot of educational activities in the summer. We’re big on not giving kiddo gadgets and devices to entertain her or for educational purposes. She has some attention and learning troubles and we find that these just make things harder to deal with. What an incredible experience for kids to keep their minds active during the summer break. They’ll be ready to head back to school and succeed. This is a great option to keep older kids on the learning path during the lazy months of summer. I am really interested in learning more about this! It sounds like a neat program…and I’m all about keeping the kids excited about learning! What a great program! I like that the kids can learn at their own pace thru the summer. My son and I are continuing to work on his handwriting this summer to keep him ready for the fall school year. Done and done! I love this idea and concept! I’m all over it! Thank you for sharing! Our kids are so excited to start Brain Chase this summer! It’s such a great program! 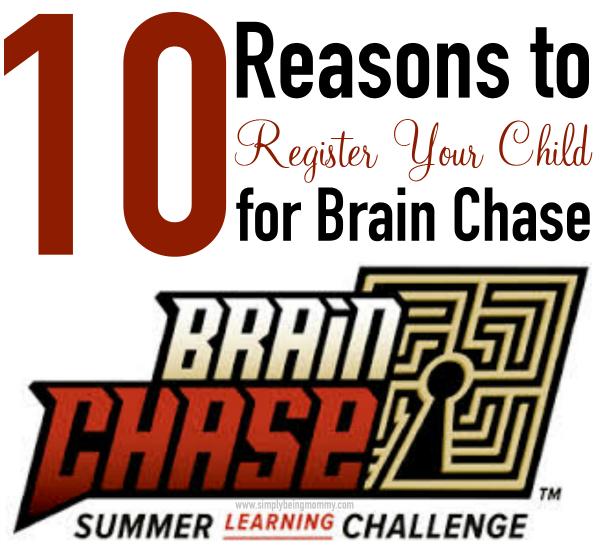 Brain Chase sounds like a great program for kids, especially during the Summer! I will be bookmarking this site to remember it for when my daughter is age appropriate. This looks great if my son were older. This summer we’re doing a few preschool programs. I think this is a great idea for keeping children in the learning mode throughout the summer. It seems like it would be fun, too.